Great location, restaurant had fantastic food and show, breakfast was Great, faculty were amazing. The property is in a great location, authentic to the area. It is in a small village, you might need a car. Staff is really nice and helpful. Good breakfast and food. Breakfast buffet was outstanding. The location was beautiful and peaceful. Quiet, lovely place, clean rooms, great service, nice staff. Rooms are very nice, staff is friendly, location is beautiful (need transportation). We loved everything about this place. Our stay was perfect! 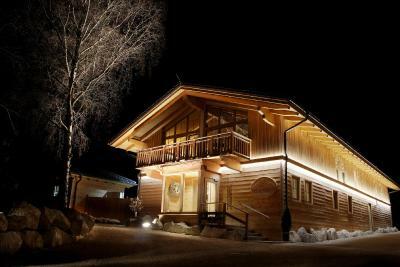 But most of all I would like to mention about the warm and friendly atmosphere of this place, very good breakfast buffet offering a big assortment of delicious traditional food, nice pool and sauna and picturesque surroundings. 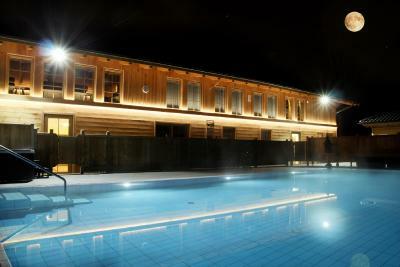 Furthermore Ruperti-Guesthouse is at a distance of only 15 km from a beautiful city of Salzburg! 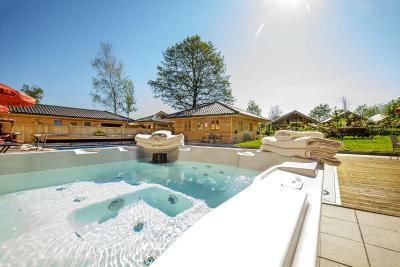 A nice spa with jacuzzi and sauna. Good breakfast. I like the location (even if you need to have car), the setting, the friendliness of the people, the small balconies, etc. Room was nice, clean and comfortable. 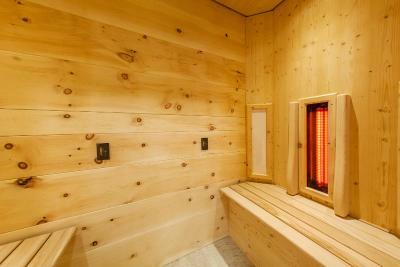 Different options in the sauna area. 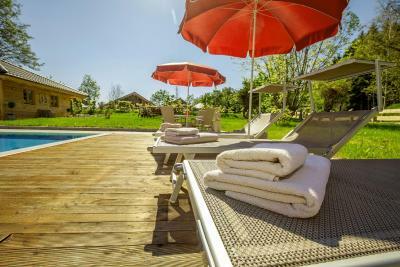 Peaceful location in small village, big clean room, good breakfast, swimming pool, nice people in reception. 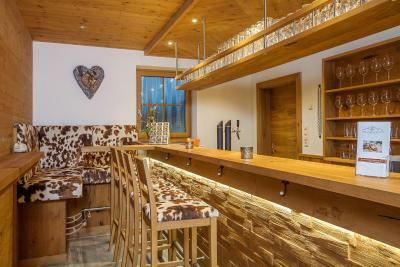 Set in Ainring, Ruperti Gästehaus offers accommodations 5 minutes’ drive from Freilassing and 7.5 mi from the historic center of Salzburg in Austria. 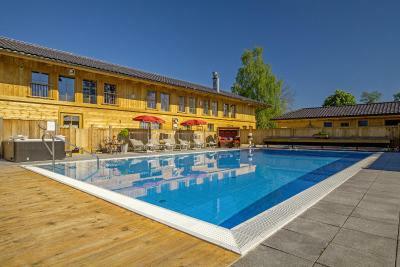 It features a wellness center and an indoor pool. Rooms include free WiFi and come with wooden furnishings and floors. All have a flat-screen TV with cable channels, a working desk, and a private bathroom with a shower. The Ruperti’s a la carte restaurant serves traditional cuisine from the region. A hearty sweet and savory breakfast can be enjoyed in the morning. 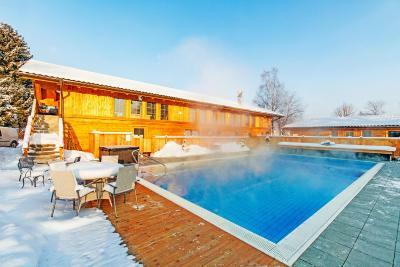 A communal sauna, hot tub, and Turkish bath invite to relax. Massages can be booked on request, and free parking spaces are available on site. The closest exit of the A8 Freilassing – Salzburg motorway is 5 mi from the Ruperti. Salzburg Airport can be reached in 15 minutes by car. 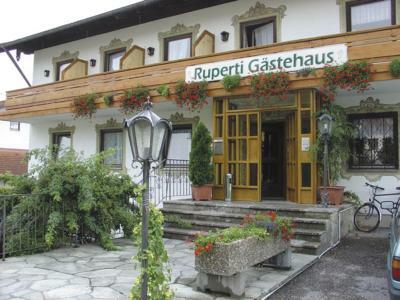 When would you like to stay at Ruperti - Gästehaus? 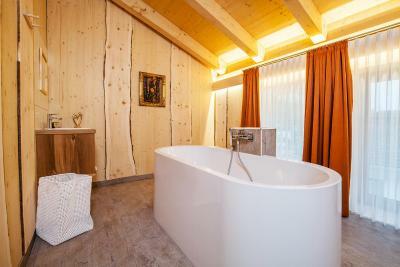 This room includes free WiFi and comes with wooden furnishings and floors. It offers a flat-screen TV with cable channels, a working desk, and a private bathroom with a shower. This apartment has a balcony, cable TV and sofa. Please note that this apartment category is not located in the Ruperti-Gästehaus. It is located in a residential building, 984 feet away. 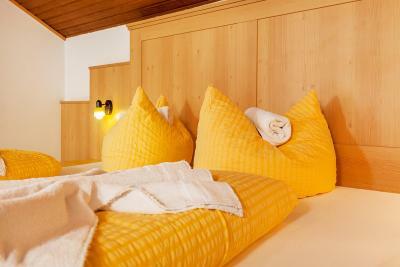 Breakfast, daily cleanings, bed linen changes are not included in the room rate. The end cleaning is included in the room rate. House Rules Ruperti - Gästehaus takes special requests – add in the next step! Ruperti - Gästehaus accepts these cards and reserves the right to temporarily hold an amount prior to arrival. Please note that the apartment category is not located in the Ruperti-Gästehaus. It is located in a residential building, 1,000 feet away. Please note children receive a discount on the 4-course evening menu. 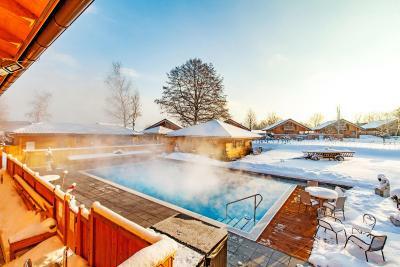 Guests can enjoy free access in the neighbor wellness center Bergerbad, 1,650 feet away, which includes a sauna, steam baths and indoor pools. Please note that check-in and key collection take place at: Hotel Rupertihof, Rupertiweg 17, D-83404 Ainring erfolgen muss, Ainring 83404. Great location. Nice restaurant and breakfast. The breakfast area in the main hotel is a bit run down. The kitchen area smells and the milk containers on the tables were not clean. Only coffee available at no cost is in a thermal can on the table. The service was very good. Good hospitality. The pool was dirty (especially when you look the upper edge), unpleasant and not working shower near the pool. A/C or just a fan in a room should be a must when it is too hot outside and there is no possibility to open window because of unbelievably strong smell of organic fertilizer. The smell was everywhere, even in a swimming pool but probably it could be normal in a little village with domestic animals nearby. We got a room across the street. It was a little noisy. It was hot and mosquitoes. We you arrive, it is not clear that you need to go to a second house to get the key of the room. You lose at least 20 min to undrstand how and where to go. The same applies for the check out. You know where it is but it is difficult if you are in a hurry. I would advice differenciating the 2 keys that you get (the room and access to the building). I lost always a lot of tile to know which one was the one for the room. The room we got was not clean. The beds were still dirty and even the empty beer cans were still in the room. The lady at the front desk told us that we would get the first drinks for free during our stay, but nobody seemed to know about this. Old, smelly and unfriendly staff at the restaurant. I would not recommend this hotel! Apartment 1001 has a bad smell coming from the walls and from the old furniture. At the corners were spider webs. At the light lamps the same. I asked to change the apartment, but all others rooms was full...at least that's what they told us. I left the windows open for a whole day and I asked them to shut them down af 16:00-17:00.. We reached the pension at 23:00, the windows were open, and outside -2 degrees. The smell was there! 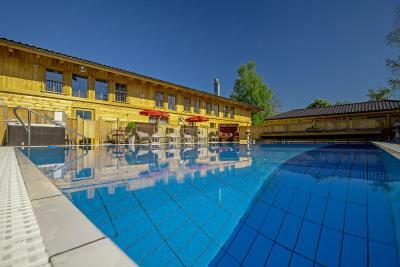 It seems that the place is full and that's why it does not preoccupy to offer each client a pleasant experience. Seems that they don’t care! Sorry, but I don’t recommend this facility! The mattress in our room was a bit hard but nobody else seemed to have this issue. Was really a minor thing.